Suffering an electrical injury in New York can have dreadful consequences and can possibly permanently affect the life of person. According to the Bureau of Labor Statistics, New York is one of the states with the most electrocution accidents. This page is dedicated to help New York personal injury attorneys deal with their electrocution accident cases and increase their chances of winning using the advice of the best electrical accident injury lawyer, Chris Beard. 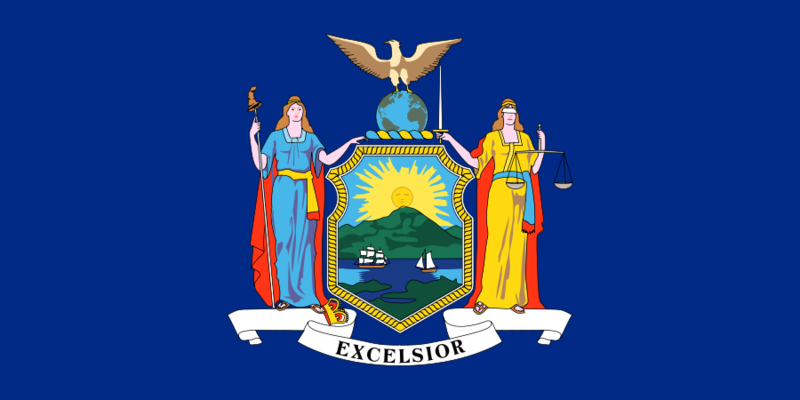 Two great things about New York are that there are no caps on non-economic losses (not even when governamental entities are involved) and that this state follows the pure comparative negligence rule. This means that, even if your client was partially at fault for their accident, their will still receive compensation (of course, diminished in proportion to their fault). As stated above, there are no caps on non-economic losses, unless modified by the Court. What caused your client’s accident is important in establishing a winning strategy, but without fresh visual evidence (photos and videos) of the accident scene it may be harder to prove the negligence/liability. The case can be an electrocution from a car battery, phone charger, accident in construction, or due to a missing hazard sign in New York. The photos taken by your client can provide valuable information of who is responsible for the accident and if, for example, the occupational (workplace) electrical injury is the employer’s or employee’s fault. As you may already know, most electrocution accidents occur in the construction industry. If your client’s injury happened at work, you should contact their employer to preserve the tool/device that caused the accident. If your client got injured at home, you should discuss with their relatives as soon as possible, while the information is still fresh and important details are not forgotten. Electrical injuries can cause one of more injuries, some temporary while some permanent depending on various factors. Common electrocution injuries in New York include nerve damage, brain damage, scars, electrical injury chronic pain, arrhythmia, and many more. In addition to this, suffering an electrical injury during pregnancy can have dramatic effects and can possibly kill the fetus. Indifferent of the type of injury, you should get your hands on the medical records and the autopsy report as it will help your case in multiple ways, including establishing the value of the compensation. New York electrical injury lawsuits are difficult from the start and if you don’t take the right approach the case can become much harder. Study the local municipal building code and see how you can build a bulletproof case based on the standards of care. Remember that each city may have its own code, so you will have to do a little bit of research. New York City, Buffalo, Rochester, Yonkers, Syracuse or any other city in New York may have different codes. As a New York electrical injury attorney, you have to make your client understand that whatever they say may affect the case, especially during official/ recorded statements. You can teach the victim what to say in maximize their chances of receiving electrocution compensation in NY. You should depose the witnesses as soon as possible if you don’t want chase after them. The electrical injury witness statement can help you when dealing with your client’s insurance company. A good New York electrocution attorney must have the best experts helping them, including a construction safety expert, electrical engineer, psychiatrist, economist and many others. The expert can use their knowledge to prove the liability of the guilty person. Your client’s injury can be one person’s fault or it is possible for more individuals to be liable. It is the job of the electrical injury attorney to determine who is responsible for the accident and what is the chain of distribution for the tool/electrical device that caused the accident. For many personal injury lawyers, their first electrocution case may prove to be harder than expected, as there are a lot of variables found only in electrocution cases and which may define the result of the case. Chris Beard is a specialized electrical injury lawyer and has a network of the best nationwide experts which can also be at your disposal. As a New York personal injury lawyer, you are the best person for this case, as you already know the state rules and procedures. The best electrocution attorney, Chris Bears is unrivaled in this type of cases and can also counsel you in creating a winning strategy and provide you with the best experts in your area. Chris is licensed to practice law in Maryland. In other states where he is not admitted, he can apply with the local court to appear for a client and work with local counsel if the matter has to be litigated. He will also consult with local counsel whenever an issue comes up in the claims stage. Click here to find out more about how you can work together with Chris and you can contact him at (888) 300-0585 or at [email protected]. Disclaimer: The purpose of this site is to provide general information only. The information should not be relied upon as legal advice. You should consult with a licensed attorney for legal advice. It is not intended to substitute for the advice of an attorney. The law varies from one jurisdiction to another. The law is subject to frequent changes. In some states the information on this site may be deemed to be ATTORNEY ADVERTISING. The results of a past case cannot be relied on as a guarantee of a future outcome. Call (888) 300-0585 now to receive a free consultation today with an electric shock lawyer given an A/V® rating by Martindale Hubbell®, the highest possible rating for legal ability and ethics.